Mexico is a destination with a multitude of high-end resorts, many that specialize in meetings and incentives. 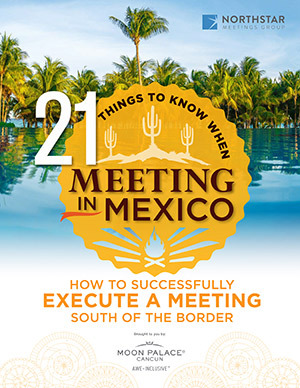 But that’s not the only reason to bring a meeting or incentive to Mexico. TURN YOUR ALL-INCLUSIVE MEETING INTO AWE INCLUSIVE. At Palace Resorts, we have reimagined the all-inclusive meeting as the Awe-Inclusive meeting. HOST YOUR NEXT CONVENTION IN THE LARGEST MEETING SPACE IN LATIN AMERICA, MOON PALACE CANCUN. All of this is located at Moon Palace Cancun, a AAA Four Diamond resort with more than 3,350 luxurious rooms, a 27-hole Jack Nicklaus-Signature golf course, daily entertainment, a wide array of eclectic and International culinary delights, 24-hour room service, 1.5 miles of private beach, complimentary WiFi and much more. 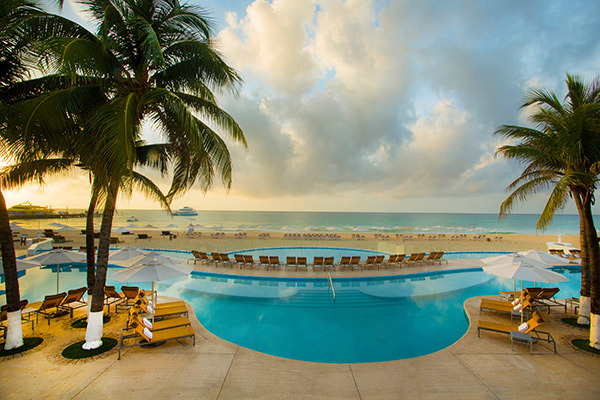 Plus, the resort is only 10 minutes away from Cancun International Airport.